If you use a comparable TSA Lock that has a thinner cable, the lock may not function properly. Due to the way the Sportube is designed and the way the inner and outer part of the Sportube slides into each other, a thinner cable can easily become jammed or lodged into the locking rib. This could cause your Sportube to be stuck or very difficult to open. Or this could result in your thinner cabled lock being damaged and unusable. 3. With the button pushed in, turn dials to your desired combination code. 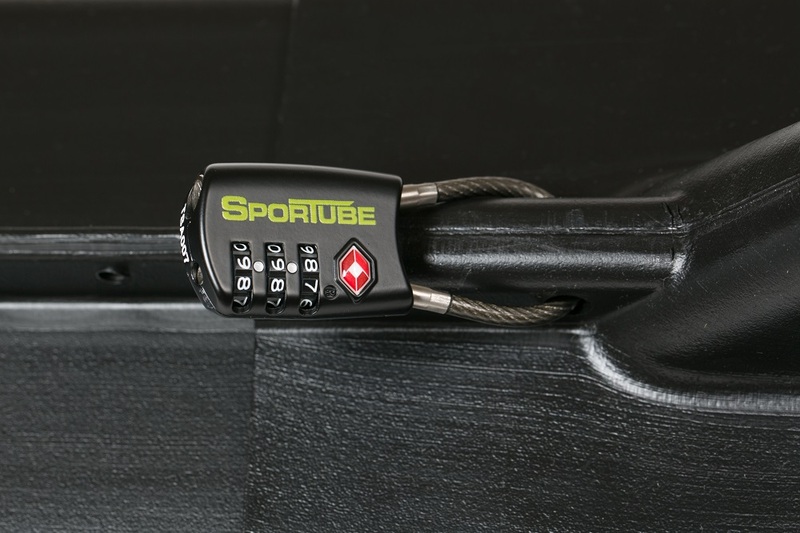 PRESET OPTION - We can preset your TSA Lock before we ship it for an additional $5.00. Just choose the "preset" option above and let us know your desired 3-digit combination when checking out and we will do it before we ship it out. That way you don't have to worry about figuring it out and you'll know it's done right before your next trip. We will also keep the preset combo on file for you so that you can't ever forget it! RESET OPTION - It is possible to change your current combination to a new 3 digit combination if you know your combination that it is currently set at. To do this, first unlock the lock and have it open, then follow the original lock set procedure (mentioned above) to reset to a new combination. If you do not know your current combination or if you have accidentally set the combination to something and you do not know the code, we offer a "reset" service for $10 including shipping. All you need to do is mail us your TSA Lock with the wrong combination and we will reset it to whatever combination you prefer. The $10.00 charge will include the return shipping back to you. It was easy to set the lock and and I have used it a few times and it worked flawlessly.